The TrainingSeeker team is a client of The Forge, McMaster University’s startup incubator, and has been hard at work this year refining their platform. Currently, the platform helps users find certified in-demand courses like First Aid and Working with Heights. As a training advisor, Founder Marko Babic found it difficult to source quality training courses for workers. So, he developed what he calls “the Expedia of training”. We chatted with Marko about his inspiration and plans for the future of TrainingSeeker. The idea for building a booking site for safety training came to me while I was teaching safety to workers in the Alberta oil and gas, construction and mining industry. As a training advisor, with a major construction company based in Calgary, when I wasn’t teaching, I spent 30-40% of my day trying to find, book and coordinate safety training for hundreds of workers. This was probably the most painful job I’ve ever had. WHAT DO YOU FIND THE MOST REWARDING ABOUT BEING AN ENTREPRENEUR? WHAT DO YOU FIND THE MOST CHALLENGING? There are so many rewarding things about being an entrepreneur! Be it sense of freedom, a motivation, or even waking up in the morning and knowing that I am going to make things happen that day. The thing that stands out as the most rewarding has to be seeing how inspired people get when they ask what TrainingSeeker is building. Seeing an almost infectious drive being transferred to people, especially on my team, is definitely the most rewarding. The most challenging aspect that I can think of is the so-called work-life balance. But even then, one and the only thing I don’t compromise on is spending as much time as I can with my young daughter. Everything else can wait. HOW HAS ENTREPRENEURSHIP DEFIED OR LIVED UP TO YOUR EXPECTATIONS? I try to have as little expectation as possible. Be it with work, life, friends, family etc. etc. What has pleasantly surprised me though, is the amount of support and mentorship I have received from the Innovation Factory, The Forge and McMaster University. I regularly tell my friends here in Hamilton, and back in Calgary, about the amazing support and opportunities, the Hamilton/McMaster innovation ecosystem has offered me. Hamilton has always been home and moving back to start TrainingSeeker has proven that every time I walk through the doors at the McMaster Innovation Park. 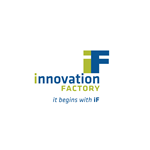 HOW DID YOU BECOME INVOLVED WITH INNOVATION FACTORY? I was referred to iF by the Hamilton Chamber of Commerce. When I first moved back I joined the chamber to re-connect to Hamilton and hopefully meet like-minded people. One day I sat down for coffee with a membership advisor and I told her about my idea to build TrainingSeeker. She suggested I visit iF and I took her advice and since then TrainingSeeker has been an iF and Forge client. By coming home every day to see my daughter healthy and happy. I’d like to think that TrainingSeeker is in a league of its own and as such is the only place where providers and seekers can come together and find, compare and book the training they need. For the first time, Canadian’s have a place where they can get a comprehensive picture of what is out there to meet their workplace training needs and on the flip side, for the first time, trusted small to medium sized training providers have a platform to list their availability and take payment. WHAT IS THE BEST RECOGNITION YOU HAVE RECEIVED? Last April TrainingSeeker placed first at the Innovation Factory ELEV8 Pitch Night. Being that it was my first ever pitch and the calibre of the other startups presenting, I was pleasantly surprised to hear the name TrainingSeeker being called up as the winner. WHAT ARE YOUR PLANS FOR THE NEXT YEAR AND BEYOND? Our plan is to keep building on the vision of a marketplace dedicated to finding safety training and building the tools human resources and health and safety professionals need to effectively and efficiently train and protect their workers. WHAT SUPPORT WILL YOU LOOK TO INNOVATION FACTORY FOR IN THE COMING MONTHS? Going from the idea stage to a live site is one thing. I equate that to basically buying the ticket to “the game”. Now that we have accomplished that, the game is on. We are lucky to have great mentors and advisors at iF and The Forge and we will be working with them to answer some hard questions about how we will market TrainingSeeker, how we plan to grow and how we plan to navigate and take advantage of future challenges and opportunities. DO YOU HAVE ANY ADVICE FOR ASPIRING ENTREPRENEURS WHO MAY JUST HAVE AN IDEA? iF ignites innovation. Through workshops, programming, one-on-one mentoring and aiding with access to funding, we help startups commercialize their ideas and small/medium enterprises innovate within their organizations.